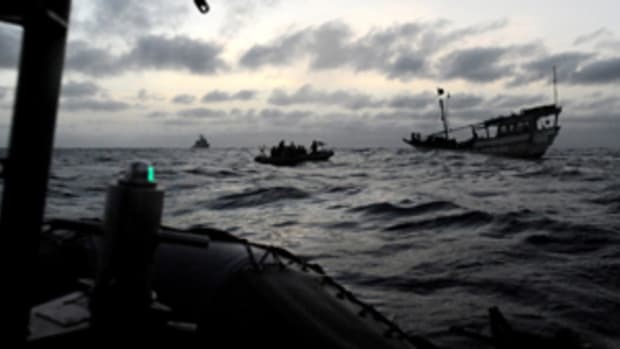 A U.S. Coast Guard Law Enforcement Detachment operating as part of Combined Task Force 151 in the Gulf of Aden assisted in the apprehension of 16 suspected pirates in a 24-hour period. Weapons seized along with the apprehended suspects included assorted weapons and one rocket propelled grenade launcher. Click here to read the full Coast Guard press release. Click here for a photo of the apprehension.